Let’s talk a bit about designing and concepting our tunnels. Before we had fully planned our little project I started thinking what it would look like. At that point I only knew that we were going to do some darkish fantasy dungeon crawling game. All the options were still hanging in the air. Was it going to be some kind of open world game or tunnel runner? Is it in 3rd person or 1st person? What about the movement? Does player play single character or a group? I tried not to think too much of the open questions or restrictions and just decided to let loose. It’s kind of hard because in back of my head I know that whatever I draw or paint I have to translate into 3d in some point. So every time I’m painting awesome giant statues pouring magma over some ice sculptures of little kittens in dense forest, the 3d artist inside me is crying big sad tears. 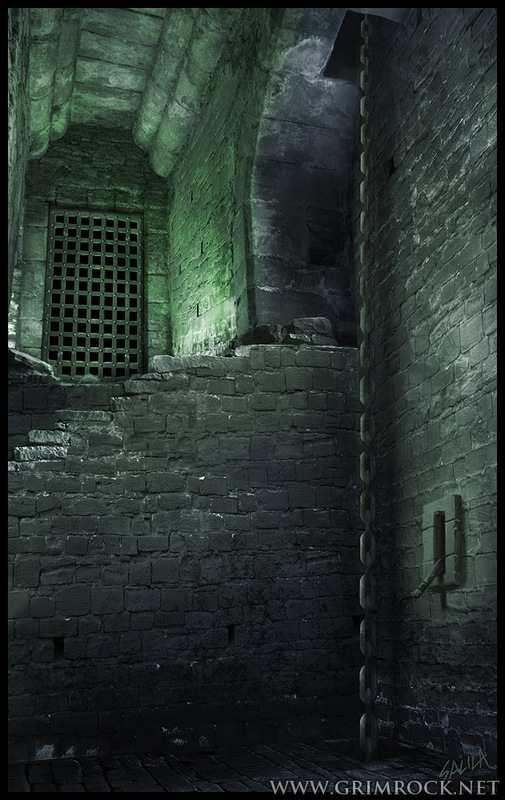 Anyways, I started to concentrate on the mood, feeling, colors and scale of the dungeons, not trying to think too much what kind of gameplay the concepts would depict. Obviously the images doesn’t resemble the current game that much, but they helped a lot of finding out what would work and what was cool and what was total shite. With these images our team got a grasp of the feeling and style of the dungeons and we started to “talk the same visual language” which is really important in every game project. Enough with this typing. I think I’ll go back to Zbrush sculpting our new cool monster. Maybe I’ll do another post of it someday 😉 nudge nudge wink wink. Go on and check out bigger images by clicking the pics. Wow the ones with the stone walls are just like real pictures, especially the 3rd one with the Legends of the Hidden Temple face. Also : “pouring magma over some ice sculptures of little kittens” lots of this kind, please! Awesome! My head is spinning:) I am also a modeler and if you need any help, I can gladly help you guys, just let me know. Wow. Just…wow. Can’t wait to wander in those dungeons. Looking foward to installing, Grimlock is top priority game to play. As you English speakers often say : That’s mind blowing ! I especially appreciate the lighting in those sketches. Really impressive and inspiring work. I love CRPGs since 1985. I am huge fan of paper RPg and computer 80’s and 90’s RPG. My favorite game are Might&magic, stonekeep, dungeons master, eye of the beholder, The lagacy, Lands of lore 1, Wizardry, ultima, baldur’s gate, NWN 2, Drakkhen, SSI RPG like ravenloft, menzoberranzan etc…. I hate new RPG since 2000 for the most because many aspects of RPg are disappeared only to attract new gamers that don’t know RPG but without the fact to give them the love of RPg game (Games like Dragon age 2 for example are more action game than RPg game). Moreover, many games called RPG offers combats in beat’em all style and not in roleplay style. The witcher 2 is a good RPg but combat system is the owrts becase it’s a beat’em all system and not RPg system. I am very happy that developpers like you choice to make old school RPg (I hate old school term because next-gen RPG are not often RPg game but hack’n shalsh or action game). I expect that your game sell very well and that you could make many old chool rpg game. Could I expect to have a french version of your game after the release? I expect also an automap like in might&magic or lands of lore for example. I have forgotten to add that you game is very beautiful for this moment and my dream when I was 18 years old in 1993, was to have RPG like might&magic, land sof lore, etc… with next-gen graphism and you make that my dream become reality . Some Excellent concept art here juho I do hope you guys make an Art Book of Legend of Grimrock. Some Questions about our environment. petri mentioned in a post that you were “experimenting with free look” and I was wondering if we would get a sense/feel of the vastness of our surroundings – take Concept 3 for example and moving along the ledge above the head – would we have areas like this that we could look out at up/down etc . 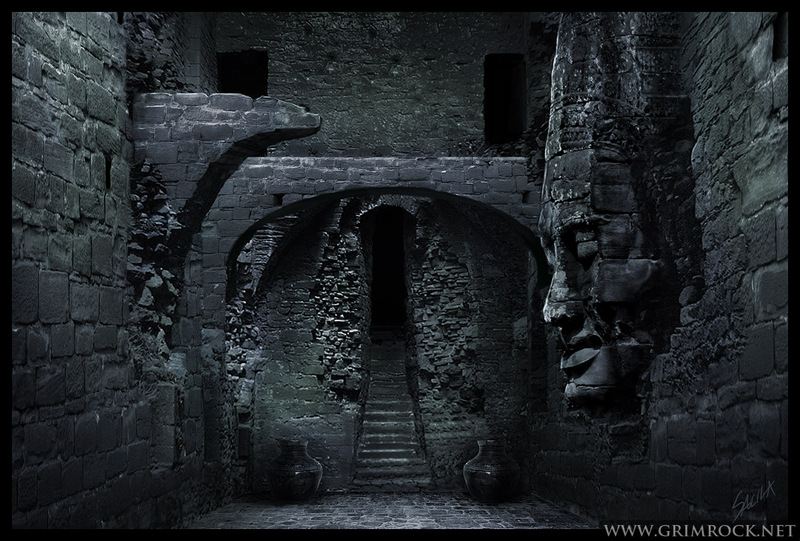 Will Legend of Grimrock just be a Tunnel runner or will you have a mix of Environments like close Quarter tunnel areas – multi level shafts/Caverns and open areas like Concept art 6. About the possible free-look-system: I was thinking that in game you could freely look around using mouse only when pressing and holding middle-mouse-button at the same time. When the button is released your back to grid-based view. Free-look could be a nice way of investigating the surroundings. Very nice pictures btw. I’m really looking forward to seeing this game completed. At the moment we don’t have multi level rooms, but we’ll look into it. LoG will probably be mostly tunnel running with maybe some bigger rooms, but no big outdoor environments. Great artwork! I hope the final game has lots of hours of gameplay! For my taste, I like concept images 3,5, and 6 the best. Wow this game sounds & looks very very good indeed, & i grow up on DM etc in the good old days on my c64 & Atari st & spent a many day & night playing DM after I got back in from school or before ( I am now 37 so that was a log time ago ). however fingers & toes crossed this games will see the light of day soon as my heart is ging faster & faster now by reading your blog about this great game, however take your time as this game is going to be one of the best games ever made………. p.s thank you for making a game like this in this day & age as a lot of folks only want eye candy games with no real game play. But the games of the past are how to make a game work & run, so stop reading this & carry on go go go he-he. Sorry about my spelling mistakes, as I must have been thinking about this game & the good old days to much well i was writing my comment. Impressive. Keep up with good work. Wow great work guys, I can’t wait for this! Awesome! These sketches show what Diablo3 SHOULD be all about, not the stupid candy we see all the time… Bring it on, for a huge fan of Betrayal at Krondor as well as Ultima Underworld, this really hits the sweet spot. Iso käsi rohkealle vedolle, keep it up!